Two UCLA space scientists contribute to study of Europa and Ganymede. 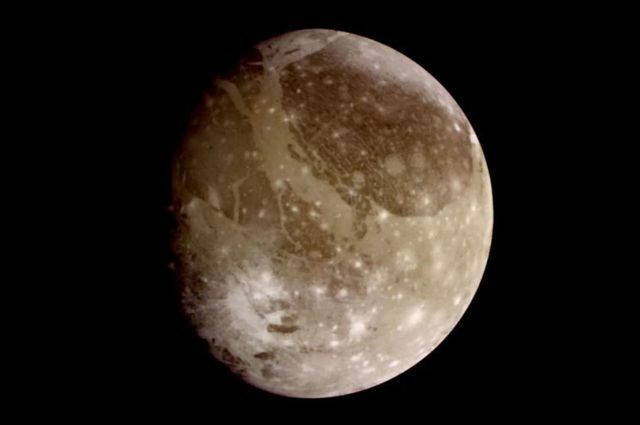 In 1996, scientists discovered the presence of plasma waves near Ganymede, one of Jupiter’s moons. Those waves, similar in some ways to waves on the surface of water, are often referred to as “chorus waves,” because they can be played thorough a radio and sound something like a choir. Until now, it remained unclear if the increases in wave power that the scientists observed were accidental increases associated with natural variability or were systematic and significant. A team of scientists that includes two UCLA researchers has published a study in Nature Communications that might explain the phenomenon. The research reports that chorus wave power is increased by up to a million times near Ganymede, and up to 100 times near Europa, another of Jupiter’s moons. “It’s really a surprising and puzzling observation showing that a bare presence of the magnetized object can create such a tremendous intensification in the power of waves,” said Yuri Shprits, the study’s first author and a researcher in the department of Earth, planetary and space sciences in the UCLA College. 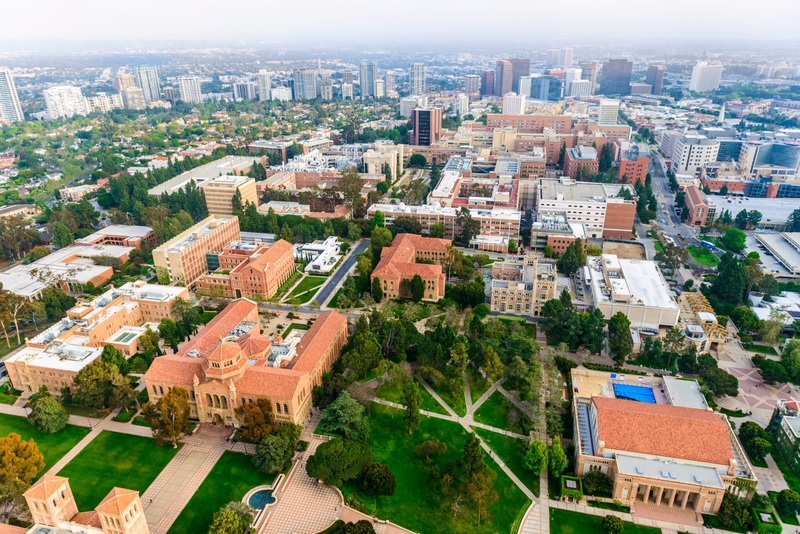 Alexander Drozdov, a UCLA assistant researcher, was one of the study’s co-authors. he planet Jupiter has a very strong magnetic field which forms the largest object in the solar physics. Observations of Jupiter’s magnetosphere in the 1990s provided a unique opportunity to understand how magnetic fields interact with particles and how moons of Jupiter can change the environment of the gas giant. One of the most surprising and fascinating discoveries about the moons of the giant planet was made by UCLA’s Margaret Kivelson – a professor emerita in the Department of Earth, Planetary, and Space Sciences – and her team, who found the internal magnetic field on Jupiter’s moon Ganymede. In 1996, a team of scientists led by University of Iowa Professor Don Gurnett noticed that strong plasma waves were observed near Ganymede. These waves are similar to waves observed on the surface of the water. However, unlike water waves, it is electric and magnetic fields which increase and decrease during these oscillations. The particular type of waves that they observed are often referred to as “chorus waves,” as they can be played thorough a radio and the sound similar to a multi-voiced chorus. Until now, it remained unclear if these observed increases in wave power represented accidental increases associated with natural variability, or if they were systematic and significant. A study published recently in Nature Communications may clear this up. The study reports that chorus wave power is increased by up to a factor of million near Ganymede, and up to a factor of 100 near neighboring moon Europa. “It’s really a surprising and puzzling observation showing that a bare presence of the magnetized object can create such a tremendous intensification in the power of waves,” said Yuri Shprits, first author of the study and a researcher in UCLA’s Department of Earth, Planetary, and Space Sciences (EPSS) as well as a professor at GFZ-Potstam/University of Potsdam. Similar chorus waves in Earth’s magnetosphere are responsible for accelerating space particles to very high energies, producing so-called “killer electrons,” which are so energetic that they can penetrate a satellite’s shielding and damage or completely knock it down. These processes are also likely to occur in Jupiter’s magnetosphere, says UCLA EPSS assistant researcher Alexander Drozdov, who is a co-author of the study. He and his fellow researchers performed a systematic study of Jupiter’s wave environment and compared average measurements to satellite flybys. These observations provided a unique opportunity to understand the fundamental physical processes that may be relevant to laboratory plasmas, as well as processes of acceleration and loss near Earth and in the distant corners of the universe. Similar processes may occur in exoplanetary environments. Thus, the work done by these researchers may help detect the magnetic fields of exoplanets being sought after by many planetary scientists. According to Drozdov, this study heralds a greater understanding of plasma dynamics for researchers studying plasmas both in space and in laboratories on Earth. “By observing the fundamental process of how particles and waves interact in plasma on Jupiter, it creates important benchmarks for theorists to test their models using this truly remarkable experience that nature’s provided for us,” Shprits added. This research was supported by NASA and is a result of collaboration of UCLA, German Research Center for Geosciences, University of Potsdam, University of Iowa, British Antarctic Survey, Jet Propulsion Laboratory, and Applied Physics Lab.